This recipe is super simple, and my clothes come out clean every time. 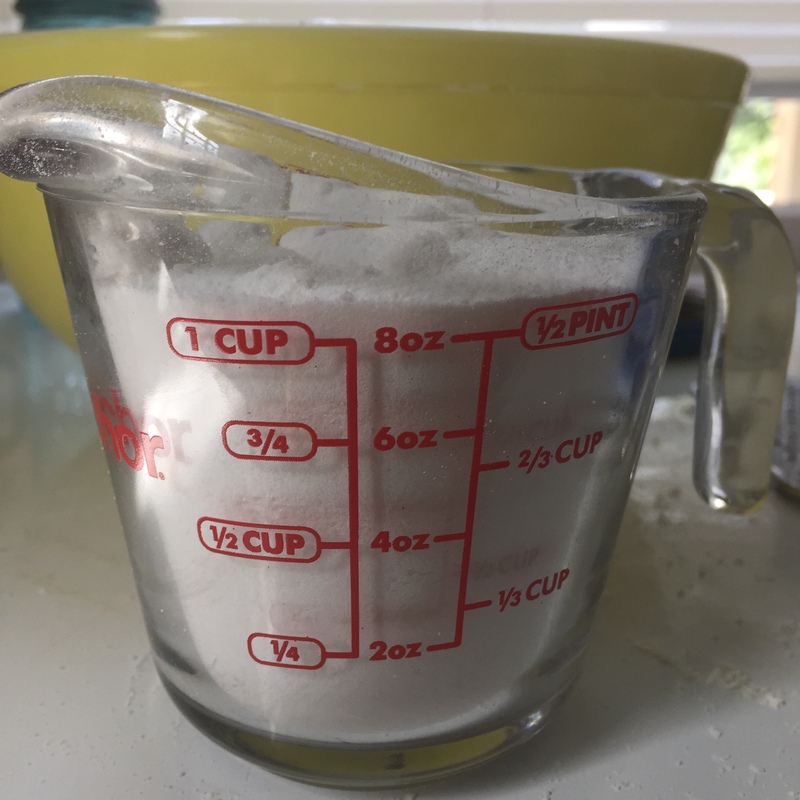 As far as I can tell, this is a pretty common homemade laundry detergent recipe, and after you make it you’ll see why. Not only can it be made in a matter of minutes, but the ingredients are inexpensive and relatively easy to find in recyclable packaging. 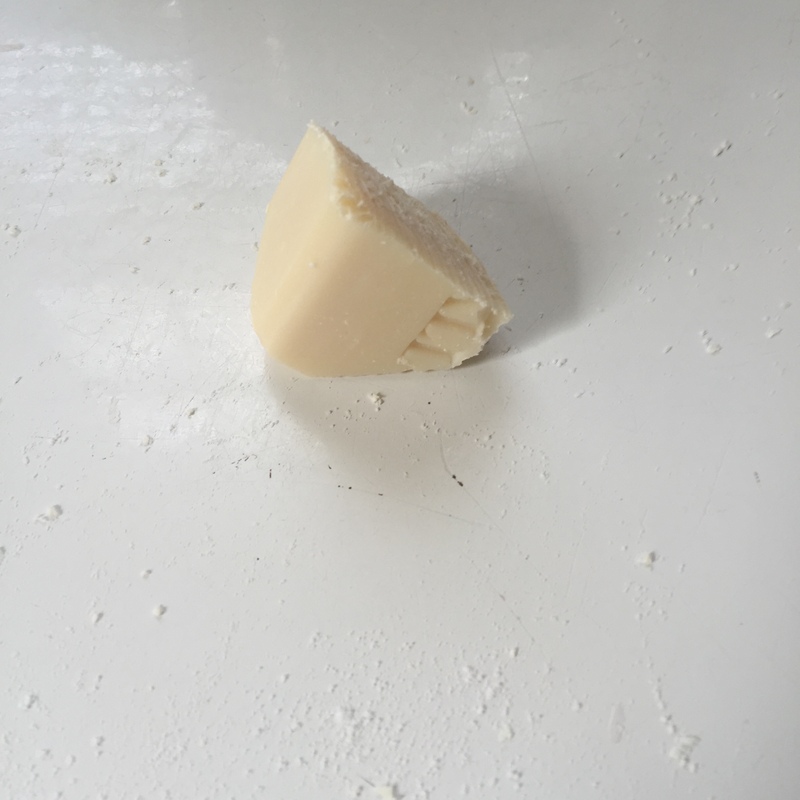 This recipe is 1 part grated soap, to 2 parts each of borax and washing soda. 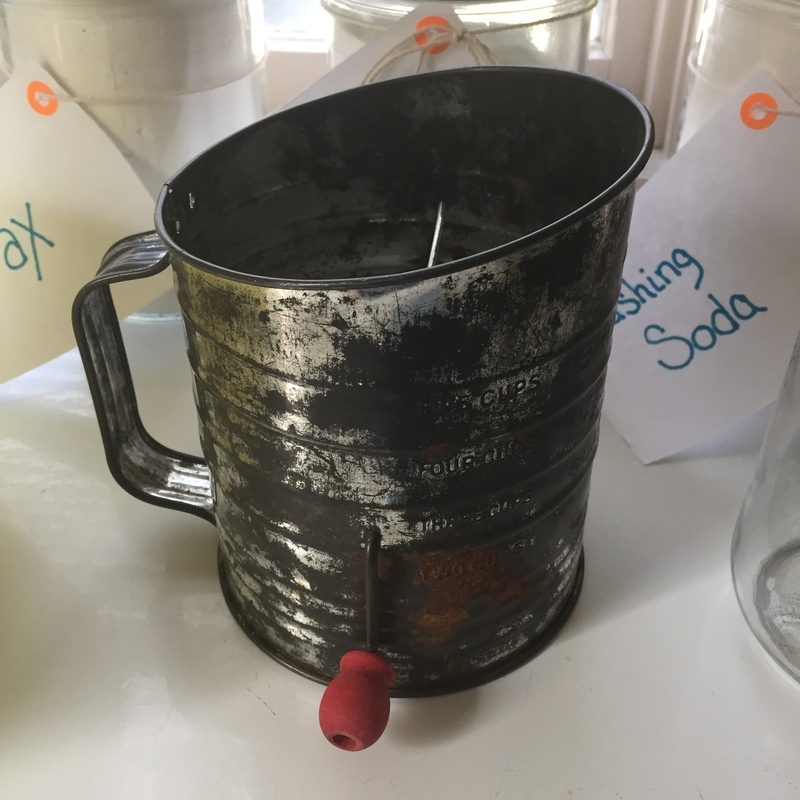 Meaning, that if you use 1 cup of soap, you will need 2 cups of borax and 2 cups of washing soda. Grate 1 ½ cups of soap, almost a full bar. I hate grating once it gets down to the end for fear I’m going to cut my fingers, so I always just leave the last bit and use it as hand soap. Once your soap is grated, add it to one of your large bowls. 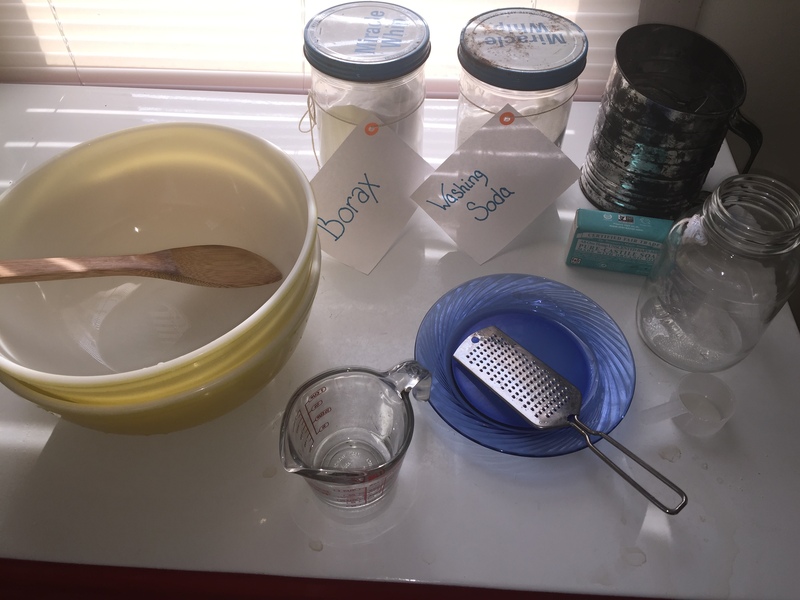 Add 3 cups of borax and 3 cups of washing soda into your bowl with your soap. You can see in the picture that mine were kind of lumpy, which is totally ok. That’s what step 4 is for. Seriously, just take a spoon, or your hands and mix the three ingredients together. 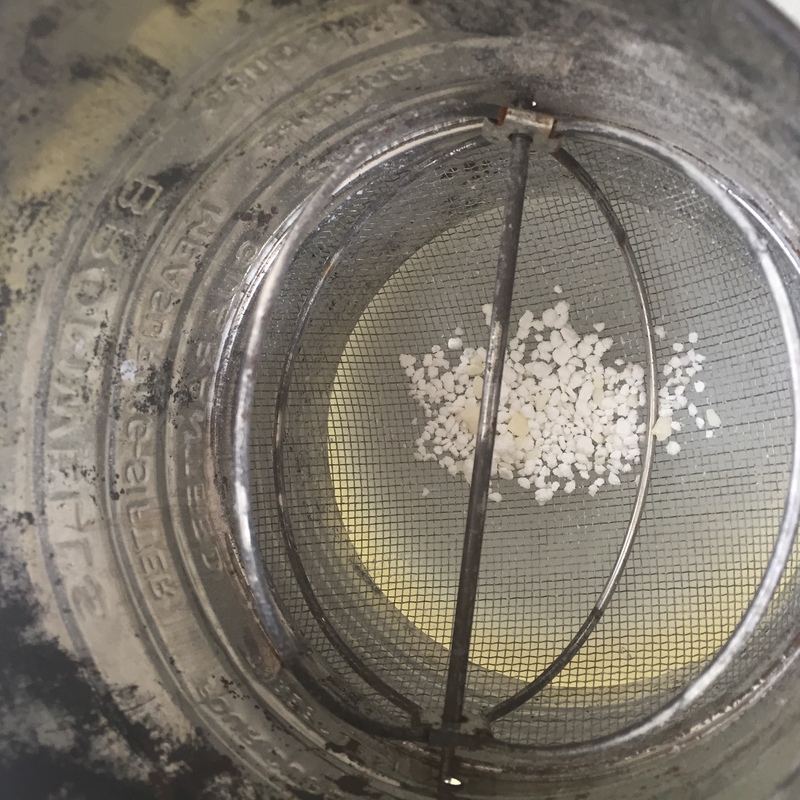 If you haven’t ever used a sifter, it is a magical device that basically strains whatever you put in it through a screen. These are traditionally used in baking to sift things like flour or sugar so that your baked goods have no unfortunate clumps. I like to use mine to sift my laundry detergent which effectively removes all lumps and mixes everything together quite uniformly. 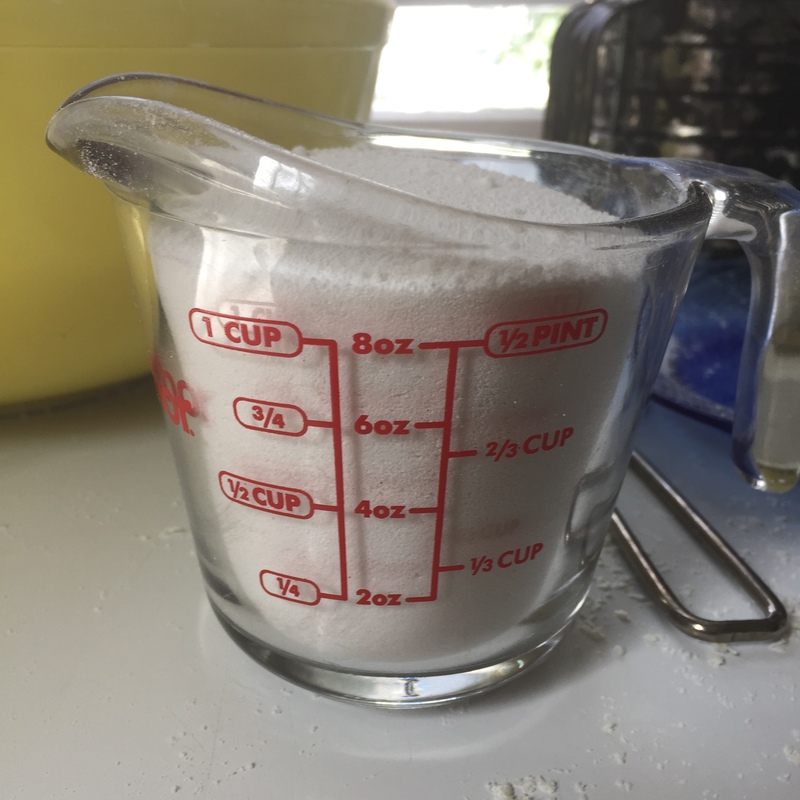 Simply put a cup or two of your mixture into your sifter and crank the handle. 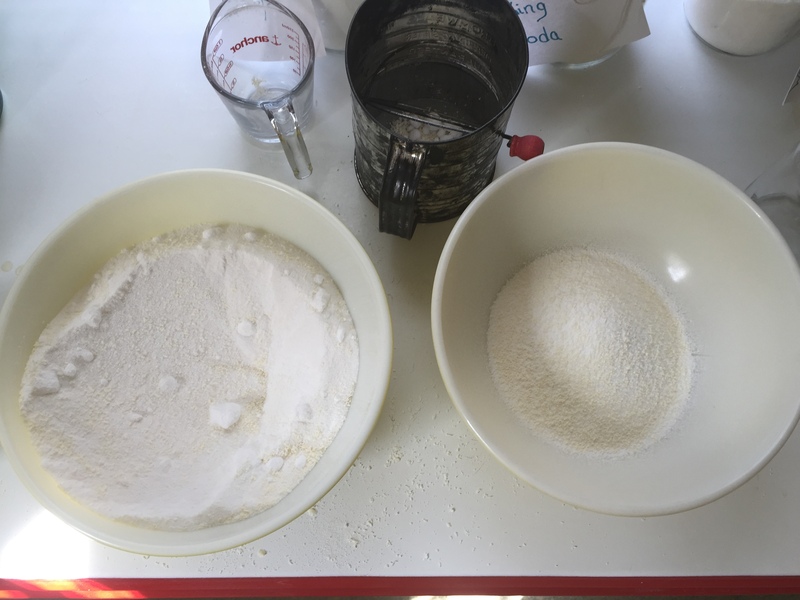 Make sure to sift your mixture into your second large bowl. There might be a few chunks left in the bottom when you’re done. I usually just poor them over my dirty dishes in the sink. 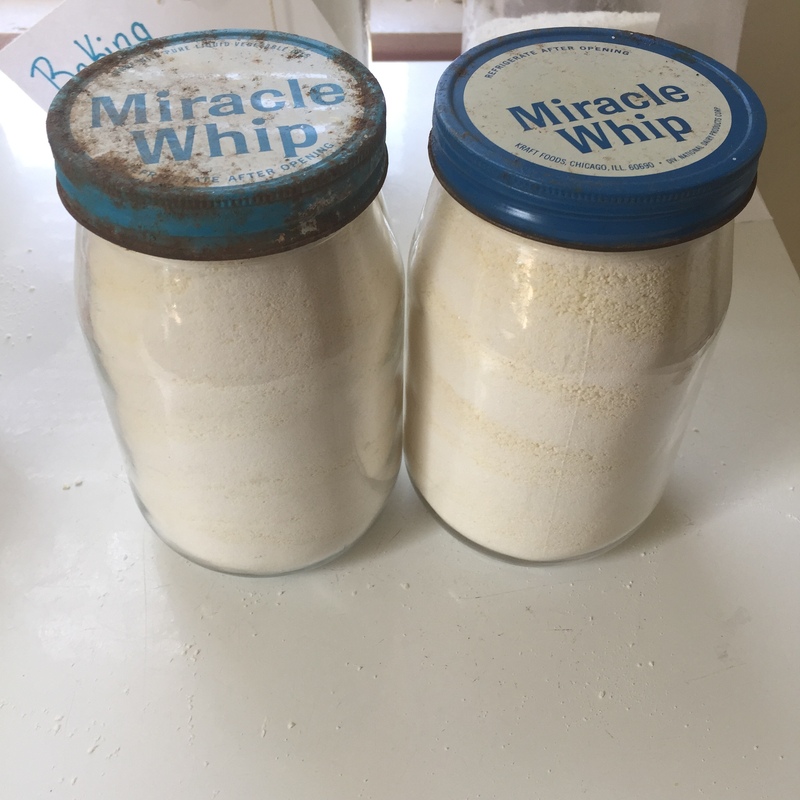 Now just put it into a container of your choice, I use vintage Miracle Whip jars because they are cute and they have a wide mouth so using my detergent is a breeze. This is where your funnel really comes in handy, unless you are very skilled at pouring. Directions: Use 1/8 -1/4 cup of detergent per load of laundry. I’ve used this in both a front loading washing machine and a top loading one and it seems to have worked without any problems in both machines. I love your Youtube Channel! i’m trying this recipe today with my cousin and I’m so excited! Thanks for writing this out on the blog! Do you put the detergent directly in with the clothes inside the machine, or do you put it in the little separate spot for laundry detergent (I hope I’m making sense)? I am excited to try this! Hi Jenny! I add this just like I would normal detergent so if there is a detergent slot I add it there, otherwise I add it directly to the washer as the water is filling up. Hope that helps! Thank you so much for the help!! I love your youtube channel, as well as your blog! Keep doing what you do! You inspire me!